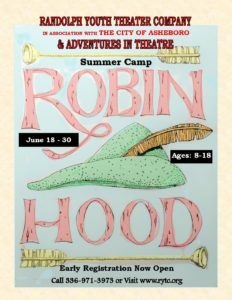 “Robin Hood” is a two-week camp for actors ages 8 to 18. Camp runs June 18 – 29, Monday through Friday, 9:30 a.m. – 3:30 p.m. at The Sunset Theatre. Performances are Friday, June 29 at 7 p.m., Saturday, June 30 at 10:30 a.m. & 3 p.m. Cost of the camp is $250 (due by June 1). EARLY BIRD DISCOUNT IS $200 if registration is submitted by April 1. See attached registration form for more information. “Sleeping Beauty and the Beast” is a one-week, half-day camp for actors ages 4 to 7. Camp runs August 6 — 10, Monday – Friday, with a morning and afternoon options. AM CAMP runs 9:00 a.m. to 12:00 p.m. and PM CAMP is from 1:00 p.m. to 4:00 p.m. These camps will be held at The Sunset Theatre. Cost of each camp is $125 (due by June 1). EARLY BIRD DISCOUNT IS $100 if registration is submitted by April 1. See attached registration form for more information. 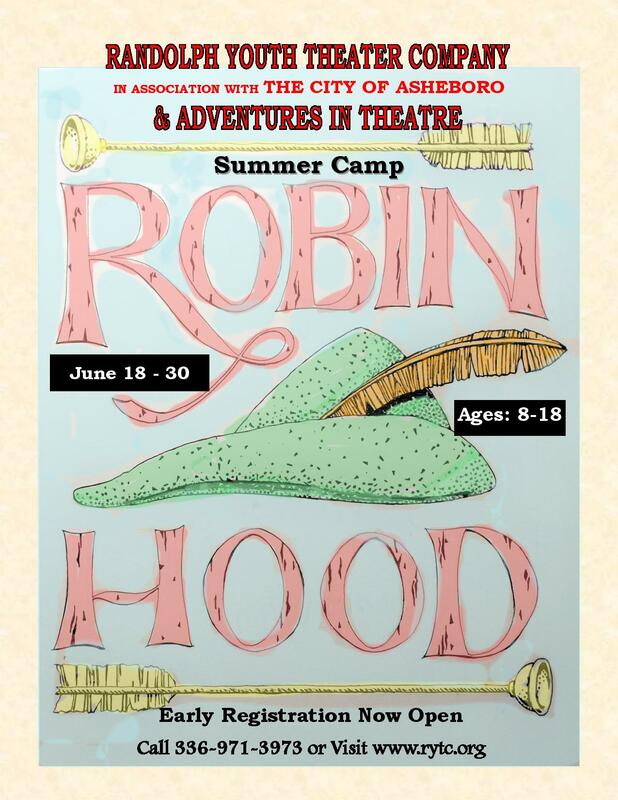 Mail your registration form with payment (checks payable to Adventures in Theatre) to: Bobby Bodford, Camp Director, 106 Devon Road, Jamestown, NC 27282. Or call Bobby Bodford at 336-971-3973.